There’s a new voice in Canberra’s public transport discussions, with pro-light rail lobbyist Damien Haas setting up a new community-based advocacy group for public transport in the ACT. The Public Transport Association of Canberra, or PTCBR, intends to act as the ACT’s peak body for public transport consultation. It also plans to further the integration of light rail, bus services and active transport in the territory. 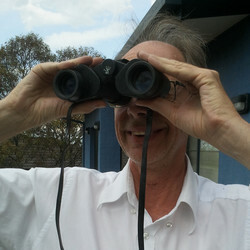 RiotACT understands that PTCBR has evolved from the ACT for Light Rail lobby group, which Haas has chaired since 2004. According to a statement posted by Haas on the ACT for Light Rail Facebook page, PTCBR will focus on broader public transport issues in addition to light rail, with a view to having a “real, tangible impact” on Canberra’s liveability. 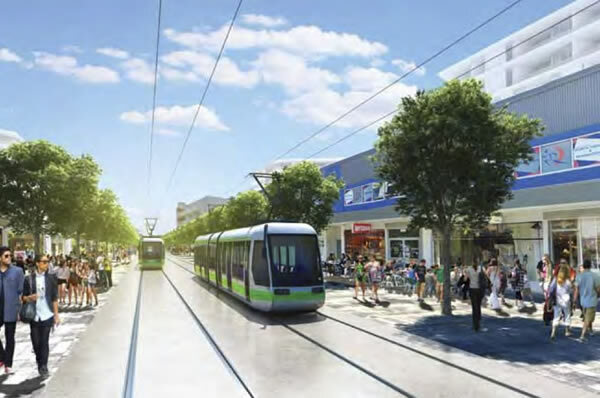 “Following on from [ACT for Light Rail’s] success in helping to secure a light rail future in Canberra, a question was raised amongst a few of us on the ACT Light Rail committee about where we should go from here,” he said. He said the group will host regular public forums where organisations, businesses and government departments involved in public transport will be invited to speak. PTCBR is registered with the ACT Government’s Office of Regulatory Services and will invite applications for membership in the new year. How about supporting something like this? It is demand driven and while free for the trial period it will be “user pays” when it becomes permanent. The obvious benefit would be that all the empty/single passenger ACTION bus on dedicated runs could be parked forever. This system on trial in the US would integrate well with the ACTION network where large busses are carrying fewer people on 20 year old routes. I would go so far as to say it would even generate more business as the older people who can’t make it to the nearest open-air bus stop would use it. It appears that, three days after this group was formally launched by Meegan Fitzharris, I have been removed from the group and blocked from being able to see its Facebook page – presumably because I asked for a copy of its constitution and made a post that referred to a Government report on how to get more people using public transport. Has the Public Transport Association of Canberra disbanded? I can no longer find it on Facebook, and it doesn’t seem to have any other web presence. Mr Haas may wish to comment on how the problem of violence on public transport (especially trams) will be handled in Canberra. Another reason for commuters to keep using their cars. As someone who uses buses, I have never witnessed any of this violence you mention. What violence have you witnessed on buses? Do you ever catch a bus to witness any? Yes, violence happens on public transport, but then violence happens on the street and…in the home too. I have witnessed car rage though. To paraphrase, another reason for commuters to leave their car at home. You need to read what I post closer. I was referring to a current problem IN ADELAIDE and no, I have never witnessed violence on a bus IN ADELAIDE however, I have travelled on busses IN ADELAIDE about 50 years ago. No doubt it will happen in Canberra too so I would like to know what the new Transport Canberra plan is for the future. Suggest you check out Google for more examples. Yes, but does violence happen more in buses, or in Civic for example? To put this into perspective, is being on a bus more dangerous than walking through Civic? Depends whether you want to be king hit or spewed on I suppose. I thought you were going to nominate the unemployed bus and tram drivers. You might be right, they will become the new homeless and unemployed! My brother in law built accomodation for his grandkids out of a disused train carriage, so I think you might be only half right on homeless and unemployed. Once autonomous cars have eliminated the need for both buses and trams as the preferred mode of transport, there is one group who are going to suffer negatively, the homeless and beggars. Instead of asking “Spare some change for the bus?” they will be asking “Can you please pay for my Uber ride?”. It will become incumbent on the charitable passer-by to pay for the entire journey and probably to book the vehicle with their app, in order to protect their credit card details. Something that will make them reconsider this generous gesture, is the risk of the recipient damaging the vehicle and then the good Samaritan has to cop the repair bill. Of course in the future you won’t be able to hire a driverless car unless you have a credit card with a balance large enough to meet the minimum amount required to activate an account. This will ensure the cars won’t be trashed or left in an unusable state. Unless a network of affordable public transport remains to service the poor and needy, there will be a new class of poverty to add to the homeless and unemployed – the “walking poor”. … Maybe because I was trained in analogue electronics where there is more to it than 1 and 0 logic that I can see more than those who’s world revolves around 1’s, 0’s, black or white or indeed real world V’s academia. I realise you are desperately attempting to sidetrack the discussion, but the technology used to capture and transmit those very words is based on digital encodings made and interpreted by analogue electronics (and optics). The footing of the “real world” is inexorably moving to digital. 1’s and 0’s again, and worlds largest auto makers except for the biggest of the lot Toyota. Anyway I don’t doubt autonomous cars are coming, and I don’t doubt there will be elements available in 2021 either. However what I believe to be fantasy is this belief that a fleet of 23,000 of them will replace Canberra’s current fleet of, 240,000 private human driven cars in the next 8 years. I see a niche market of maybe a few dozen to replace and enhance the current taxi/uber fleet MAYBE, but not every private vehicle and not a pool of 23,000 of them…. I sense some progress at last! So, imagine there may, as you concede, be a “niche” market of autonomous cars replacing the current taxi/uber fleet, providing journeys on demand, 24×7, door-to-door at less than 30cents/km during peak and less than 25cents/km off-peak (mre on these costs below), that is less half the comparable price of running a car even before considering parking costs. Such a service would also much more convenient than a bus and at the same time cost the passenger about the same or less based on current bus fares, and cost the government less than a third of the cost of providing the bus service. (At about $150m per year (all up capital, operational and loss), ACTION delivers around 150m passenger km, making gross costs of running the bus service around $1 per passenger/km.) What would car drivers seeking to maximize convenience and economy do? What would the government do, pressed as it is and will increasingly be, on all sides for greater expenditure on health, education, housing, family protection and funding superannuation? The lobbying dinners and fact-finding-missions will be extravagant, and the love will be reciprocated. The decision will be quick, and the “niche” explode. The incentive is convenience and economics. The convenience is 24×7, on-demand, door-to-door travel, even more convenient than a private car (no garaging, no parking, no servicing/repairing, no cleaning, no refuelling). The economics for commuters is that the typical “all up” private financial cost of a private car return journey of 13.4km each way is $15.16 (NRMA’s cost of running a Hyundai i30, with annual insurance at $600) and a further $11.50 for parking in the Parliamentary Triangle or between $8.30 and $14.80 for parking in a town centre or Civic (5 day paid-in-advance discount) – somewhere between $23 and $30, each day. A door-to-door round trip in peak hour in an autonomous car is modelled as costing $7.60 (including all operating costs and profit). So who has modelled this cost? You? What is the assumptions for return of cost and profit? Many organisation have independently modelled the costs. See, for example, Columbia University’s Earth Institute “Transforming Personal Mobility”: http://sustainablemobility.ei.columbia.edu/files/2012/12/Transforming-Personal-Mobility-Jan-27-20132.pdf , University of Texas “The travel and environmental implications of shared autonomous vehicles” http://www.ce.utexas.edu/prof/kockelman/public_html/TRB14SAVenergy_emissions.pdf, MIT’s “Toward a Systematic Approach to the Design and Evaluation of Automated Mobility-on-Demand Systems: A Case Study in Singapore” http://dspace.mit.edu/handle/1721.1/82904#files-area , and Lawrence Berkeley National Laboratory’s “Autonomous taxis could greatly reduce greenhouse-gas emissions of US light-duty vehicles”, http://www.nature.com/nclimate/journal/v5/n9/full/nclimate2685.html. The model for costs, income and profits for the Canberra simulation is conservative. It assumes cars cost $40,000, are 100% financed by money borrowed at 10% and have a life time of 3 years and no residual value. It assumes cars have a utilised operational range of less than 200km (which was conservative in 2014, but now looks ridiculously pessimistic), and 5% of the fleet is made up of spares (1150 cars in a 23,000 car fleet). It assumes car maintenance costs of $2000/pa plus 2.5c/km (real-word maintenance of a 2013 Nissan Leaf is estimated at $US0.5c/km, not including tyres, for example, see: http://www.epri.com/abstracts/Pages/ProductAbstract.aspx?ProductId=000000003002001728 ). It assumes charging stations cost $15,000 (again, financed at 10%), have a life of 10 years, and annual maintenance costs of $3000. It assumes bulk electricity costs 20cents/kWh (much higher than current bulk tariff), and many other parameters documented here, with a sensitivity analysis: http://canberraautonomouscars.info/model.html . It assumes peak period fares are $0.45 flag-fall and $0.25/km, and off peak fares are $0.20 flag-fall and $0.20/km. With 750,000 journeys per weekday and 23,000 cars (plus 5% spares), the operating surplus (or “profit”) is between $75m and $80m. My assumption using your costs doesn’t stack up. Canberra’s peak is roughly 2 hours morning, 2 hours afternoon and it is mostly unidirectional traffic. So to go from Evatt to the city is around 30 minutes, that car will most likely return empty, so round trip 1 hour. So in the peak that car can do two trips morning, two trips afternoon, and during the time in between probably another 2 trips, and evening maybe 2 more. So max of 8 13.4km trips a day. At $3.80 per trip (using your $7.60 return figure) that makes for a grand total of $30.40 per day in income. There are currently around 750,000 passenger journeys per week-day in Canberra undertaken by private car and bus, over about 32 journeys per car (in a fleet of 23,000). In peak periods, a fleet this size must be shared: there are not enough cars otherwise. Of course, that is a “community decision”, and you can change the maximum capacity of a car in the simulation from 4 to 1 to see what happens: a much larger fleet of about cars to cover the peak period demand (at the same service level of 98% journeys starting within 1 minute of being requested), more chargers or bigger car batteries (or a much better scheduling algorithm than in this simulation),much higher travel costs and one person per car doesn’t help congestion. Now getting back to your i30, the NRMA caculates a running cost of $0.50/km. Running costs are purcahse, insurance, fuel, maintenance etc, all of which an autonomous car will also have. These NRMA i30 costs do not include insurance ( other than compulsory third party insurance). It also amortises fixed costs over 15,000km/yr, whereas the average Canberra passenger car travels 13,700km/yr (according to ABS: http://www.abs.gov.au/ausstats/abs@.nsf/mf/9208.0/ ). So in reality, the cost per km for the cheapest i30 will be a bit higher, but never-mind..
For an electric car, the purchase cost is much higher (modelled at $40,000 in 2014$, which may be pessimistic as electric car costs are on a downward trend), but operational costs are much lower. This is one of the reasons that a shared fleet of electric vehicles is competitive: an individual purchase and use of an expensive electric vehicle is not economically sensible, as the typical low duty-cycle of the car (3-5% running) does not allow the operational costs to offset the higher fixed purchase/financing/depreciation cost. With 750,000 journeys in Canberra provided by 23,000 cars, each car averages 40% of its time on the road servicing passengers (that is, not idle, recharging, or relocating). Now your 8 trip autonomous car has racked up roughly 110km, so lets assume the running costs were on par to NRMA’s figures for an i30 to RUN that car would have cost roughly $55, so a loss of $25 for the day. But the flaw in my logic is that assumes a standard i30, not an autonomous one, which will cost significantly more to purchase (at least short to mid term), so the running costs is going to be even higher again. So I put it to you the fare would have to be at least double, and probably triple to make a profit. Unless of course that $3.80 one way fare was per passenger, but that is a rather big assumption to be making. This is based on the incorrect assumption of 8 trips per autonomous car. In reality, a fleet of 23,000 cars servicing 750,000 journeys (some of them shared), travels about 390km per weekday whilst carrying passengers (“billable km”) and earns about $103 per weekday in fares and flag-fall. Capital costs and interest on the cars, spares and chargers are about $45/weekday, power is about $20/weekday, maintenance, rego, insurance, admin, other are about $19/weekday, for a weekday cost per car of about $84. Weekend travel is lighter, and fewer trips and no peak surcharge mean capital and fixed costs exceed revenue, so in this model, each car generates a surplus of about $19 on weekdays and a deficit of just under $13 on weekends. Again, the model is “open”, you can easily change the assumptions and see what happens if, for example, you think electricity will cost 15c/kWh, or 20c/kWh, or cars will cost $45,000 and have a residual value of $2,000, or finance will cost 7% rather than 10%. Car-pooling today is inconvenient simply because it is not easy to arrange a trip exactly when you want it. People highly value flexibility and simplicity and not having to think or negotiate to achieve simple, daily tasks. Exactly. But hang on a second why will autonomous cars make it any easier to better co-ordinate people going from the same origin to the same destination at the exact same time? Massive logic flaw there, which if I am not mistaken is the cornerstone to your proof these cars will reduce congestion. What was it again, occupancy increasing from 1.1 to 1.5-2.5? Hmmmm. Don’t see it happening. You are free to ignore it, to stick your fingers in your ears and say “la la la, laughable, la la la”, but by doing so, you cede the opportunity to shape it. 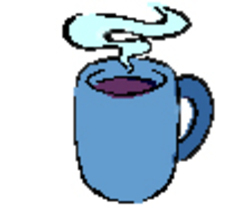 And simpler. Sorry but how much more simple could it be to walk to your garage/driveway at a whim, open a door, turn a key and drive to where you want to go? It is this simplicity and the time factor that is already a major disadvantage to public transport use as it is. And autonomous cars won’t help one little bit. To be cost effective they will be like taxis, in use as much as possible, which of course means people will need to wait and fleet size in Canberra won’t be 23,000! How much simpler can it be to press a button on an app and walk to the curb, then get delivered to the door of your destination, no worries about finding a car park or driving (which is an insurmountable barrier for many of my family, friends and colleagues). This is much simpler than the activities required for getting and keeping that car in the garage: loan negotiation, purchase (it is so much fun in car dealerships! ), keeping it fuelled, serviced, repaired and clean, even having the money to devote all that space to a garage. Of course simplicity and time factor is a major disadvantage to public transport: why, when you are fortunate enough to be able to walk to your car “on a whim” and drive off, would any commuter except those with zero alternatives be eager to follow the ACT Gov’s vision for the vast majority of commuters in Gungahlin: walk to a bus stop, wait in hope, board the bus, take a scenic route to the tram stop, wait for the tram, stand up for the trip to Civic, walk to the bus stop, wait for a bus to Parkes/Deakin/Woden/Russell/Barton/… That is why, in Canberra at least, a shared fleet of autonomous cars will be enthusiastically welcomed. Lets welcome them on our terms, not GM’s or Ford’s or Nissan’s or BMW’s or Uber’s or Honda’s, or .. Except at night, most cars are not idle most of the time and hence are not parked. They are doing the work of the current private fleet of over 240,000 passenger cars (ABS 2016: http://www.abs.gov.au/AUSSTATS/abs@.nsf/mf/9309.0 ), taxis and 400+ACTION buses. At night, they are (mostly) parked, distributed (mostly) around suburbs, waiting for the AM peak – around 200 per suburb, depending on their population of travellers and hence expected demand. So you reckon 23,000 will be working day and night in Canberra? Yeah right, another massive flaw in logic there, but gee it sounds good and makes the figures look good. As previously mentioned the ACT’s car journeys see two clear peaks, moderate use during the inter peak period, and very little at night. So those cars have to be parked somewhere. And even you mentioned it you will have 200 vehicles in Evatt ready for service, so that clearly means parked somewhere. So where? I don’t “reckon” as in “guess”; I didn’t know, so, constructed a model containing some conservative assumptions (in common with several independent models) and ran a simulation. I don’t want to tell you how to do your job as a devil’s advocate, but you may get some traction if you survey the literature, and then make informed criticisms of the assumptions and the model. Evatt has about 1800 detached dwellings and 200 public car places unoccupied at night (primary schools, shops) and about 25km of roads. Idle cars at 5am will be optimally positioned to respond to requests ASAP, at a density of about 1 car per 10 detached dwellings. Perhaps they could park in streets or unused driveways – I think that really is doesn’t matter. wildturkeycanoe’s questions/issues are much more interesting. It a logic error to argue “because some cases of X results in Y, all cases of X result in Y”. That is, because *some* of the things your colleagues announced as “the next great thing” are bogus, all such things are bogus. If you studied the correlation between your colleagues enthusiasm for something and corresponding independent support for the likelihood of that thing eventuating across industry, academia and government, I suggest you’d find a correlation. I think it is a logic error to assume that is what I was assuming. In this thing called the real world, I have heard story after story after story of what will be the next biggest thing. Some things happen as predicted, some happen but no where near as predicted (which is what I think will be the case for autonomous vehicles), and others, most don’t happen at all. Maybe because I was trained in analogue electronics where there is more to it than 1 and 0 logic that I can see more than those who’s world revolves around 1’s, 0’s, black or white or indeed real world V’s academia. In the case of the timetable for Level 4 autonomous cars (those able to operate without any human intervention in their “operational design domain”, which will probably exclude backing a trailer through your side-gate but will include all city/suburban road travel) the world’s largest car manufacturers (each with R and D budgets that dwarf that of CSIRO) and many of the others are planning for commercialisation by or before 2021. Governments across Europe, Asia and in the USA are encouraging and planning for their arrival. Academia and related industry (such as transport and urban planners) are researching how to optimise their operation. All a fantasy? Maybe, if you are blind to evidence, but then so is global warming. After all, its only happened a little bit so far, and all those scientists with their over the top waffling and irrelevant stats – lets assume it will never happen, eh? The incentive is convenience and economics. The convenience is 24×7, on-demand, door-to-door travel, even more convenient than a private car (no garaging, no parking, no servicing/repairing, no cleaning, no refueling). Now getting back to your i30, the NRMA caculates a running cost of $0.50/km. Running costs are purcahse, insurance, fuel, maintenance etc, all of which an autonomous car will also have. Now your 8 trip autonomous car has racked up roughly 110km, so lets assume the running costs were on par to NRMA’s figures for an i30 to RUN that car would have cost roughly $55, so a loss of $25 for the day. But the flaw in my logic is that assumes a standard i30, not an autonomous one, which will cost significantly more to purchase (at least short to mid term), so the running costs is going to be even higher again. So I put it to you the fare would have to be at least double, and probably triple to make a profit. Unless of course that $3.80 one way fare was per passenger, but that is a rather big assumption to be making. Again, Ford, GM, Benz, BMW, and others have made public commitments of 2021 for level 4 autonomous cars operating in shared fleets, and are unlikely to be swayed by your assertion of 10 years being the earliest, given the only supporting evidence you can muster is writing the word “earliest” in capitals! Doesn’t mean there will be a fleet of 23,000 plying Canberra roads in the middle of the next decade. Many academic studies show much greater lane capacity with autonomous cars due to smaller following distances, reduced reaction times and smoother driving. Would agree if 100% autonomous, but not in mixed human/autonomous mode operation. Once a human is placed into the mix the margins of error on autonomous vehicles increases. The evidence can be seen in the railway industry. Recently TFL converted the Northern Line from manual driven to automatic and gained a theoretical additional 20% capacity. But during the change over period which lasted about a year they lost 10% capacity due to mixed mode operation. And this is in an environment that is entirely more simple and predictable than public roads. Only half that number at night. The rest will be dreamin’. So are we actually in agreement on something? Well, that’s preferable to saying we are in the same bed. Ohhh some of these transport reports I have been able to find on the web are just a magic read. They are so consistently wrong in their assumptions and future claims it would surely make even the greatest supporter of the Light Rail a little sceptical about Canberra realising the benefits claimed (to be honest these concerns have been previously highlighted by the government’s own auditor general and various public transport experts). The problem is also that this highlights just how poor the ACT Liberals were as an opposition and how poor they were during the election campaign. How were they not able to articulate the inability of the ACT Government to deliver on their policy and predicted outcomes. Actually, the Canberra Liberals are a very successful opposition. They have retained their position for three elections now. Actually Dungers, they have lost the last 5 elections, so that means they have retained opposition 4 times. So even worse than you thought! Actually they didn’t lose the 2012 election but they failed to form a government in the post-election farce but let’s say they did lose so they are even more successful in retaining opposition than I had said. Can you think of any awesome names for the new Canberra Light Rail Vehicles?